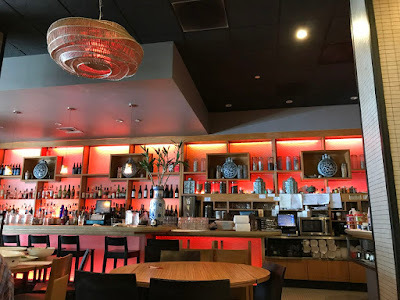 After our visit to SFMOMA, we headed to a restaurant nearby for lunch called Fang. The lunch crowd had almost disappeared when we came in, and the owner and chef Peter Fang came over to our table. 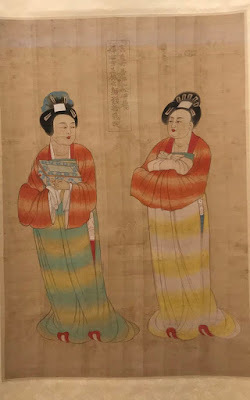 "Ni men cong nali lai?" he asked politely in Mandarin, inquiring where we were from. When we told him, his face dropped. What? From Canada?! But he told us to close the menu and trust him to cook up some dishes for us. I was worried and asked how much it would cost. Don't worry! The dishes are all on the menu! he said and went over to the counter of the open kitchen. The restaurant looks bright and funky, with wooden Chinese style cupboards, ceramics and bamboo stalks, spices stored in giant glass canisters usually found in Chinese medicine shops. 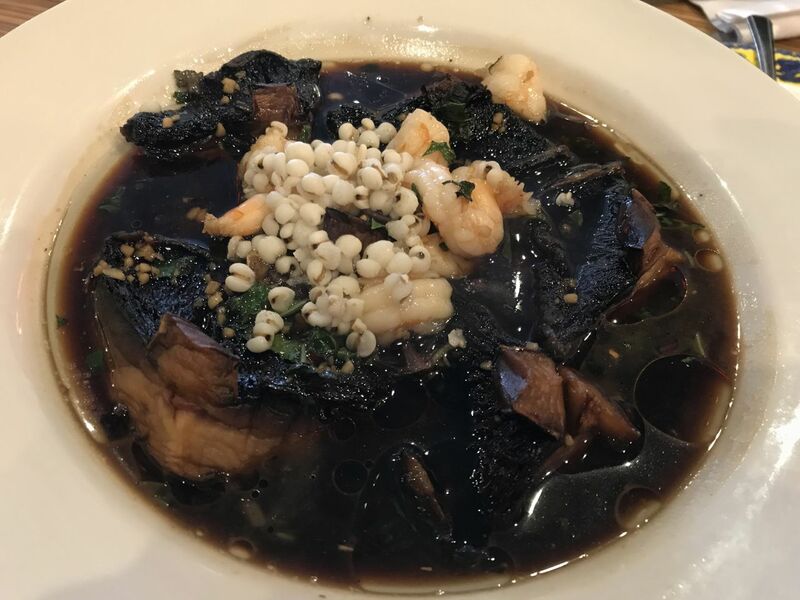 The first dish came on a large platter -- a portobello mushroom that was sliced in quarters and braised in a soy sauce topped with chopped prawns and some pearl barley as a garnish. 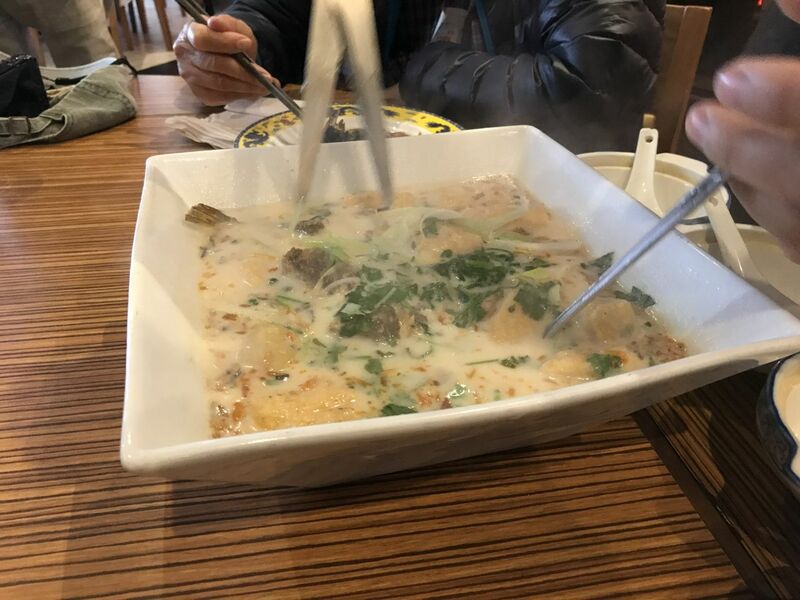 Next came a milky looking soup with a fish that had been pan-fried. The waiter sliced up the fish using scissors at our table and inside the soup was dried tofu, julienne of turnip, vegetables and coriander. Fantastic soup, piping hot and the fish was hardly oily. 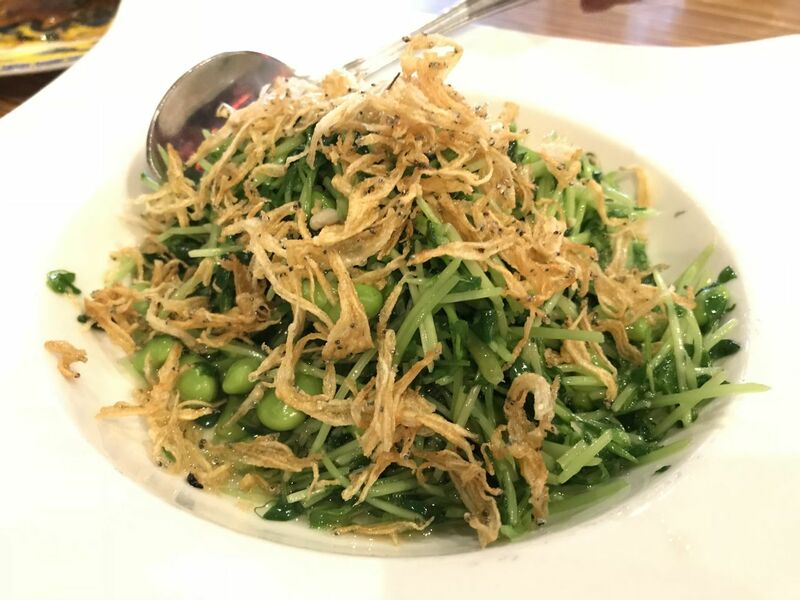 Fine pea shoots were next, stir-fried with edamame beans and topped with tiny fried salted fish. This was quite salty, but we didn't mind finishing it with rice. Finally the last dish was marinated boneless chicken chopped up and roasted. 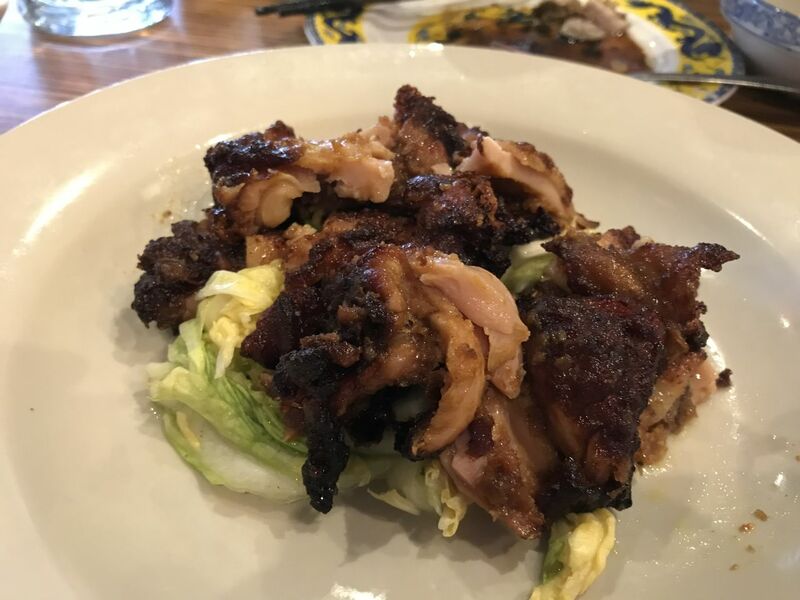 Admittedly the chicken didn't look appealing, but it was more about the taste infused with various spices as well as soy sauce. Together with two bowls of rice, the total bill came to US$84.42 for four. We were impressed at the good value. Periodically Fang would come over to chat with us and talk about restaurants he knew in Vancouver. Turns out he came to San Francisco 40 years ago originally from Hong Kong, though he is Shanghainese.